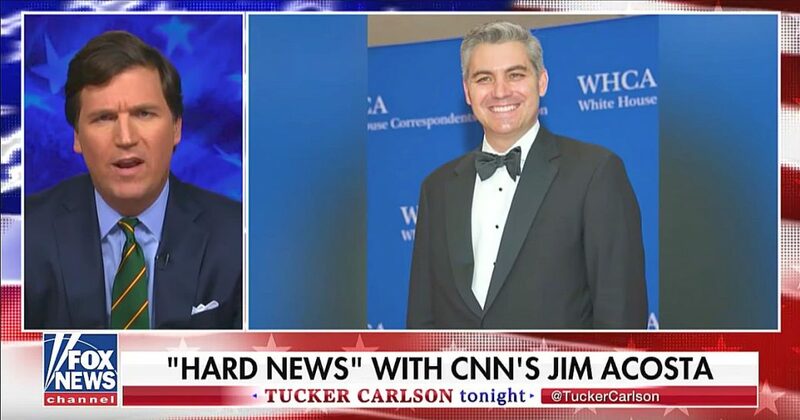 On Friday night, Fox News host Tucker Carlson, went off on CNN’s White House correspondent Jim Acosta. Because Acosta has obviously decided to stop acting as a reporter and has taken on a new role as an op-ed pundit (and not a very good one) for CNN. Carlson wasn’t simply bloviating, he had video proof of Acosta’s many (and egregious) journalistic sins. “Keep in mind that as of this morning, Jim Acosta was still listed as CNN senior White House correspondent. Now that is a different job from being a talking head on one of those panel shows with 19 guests, all of them minor political partners. At least, it’s supposed to be a different job,” Carlson said. President Trump Reveals some Important Information in Recent InterviewWeekly Pay Checks from George Soros!